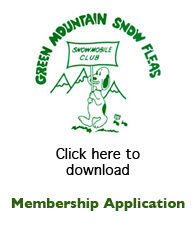 To operate a snowmobile on the VAST trail system you need to join a local snowmobile club and purchase a VAST TMA. The state where a sled is registered determines the pricing for the TMA – Vermont Registered Sleds and Out of State Registered Sleds. Each category offers Early Bird and Early Bird Family Rates. To receive the Family Rate, VAST requires that the owner’s physical address is the same for all sleds. To qualify for Family TMA pricing, you must first purchase two full priced TMAs. You may qualify for Family pricing even if some sleds are registered in Vermont and some registered out of state. 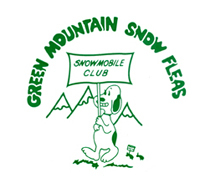 When purchasing a TMA from a local Club, VAST requires that either an original – or a copy – of a current registration must be presented for each sled. The name and address on the TMA must match the name and address on the registration. 865 Heald Rd, Proctorsville. Please call for an appointment. To view and print the form you will need the free Adobe Acrobat Reader available HERE.